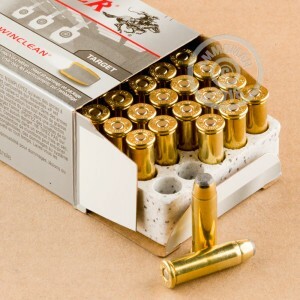 WinClean ammunition is a great way to cut down on your lead exposure at the range without driving your costs way up. These .38 Special cartridges fire 125 grain jacketed soft point bullets with enclosed lead bases. That way, the only thing getting filled with lead is your target, not your lungs. This is a standard pressure load producing a muzzle velocity of 775 feet per second. 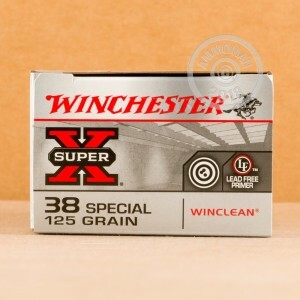 Like other Winchester ammo, it is assembled in Oxford, Mississippi using non-corrosive Boxer primers and brass cases. Buy a few of these 50 round boxes at AmmoMan.com and get free shipping (applies to all orders over $99)!